Newmarket, Suffolk. 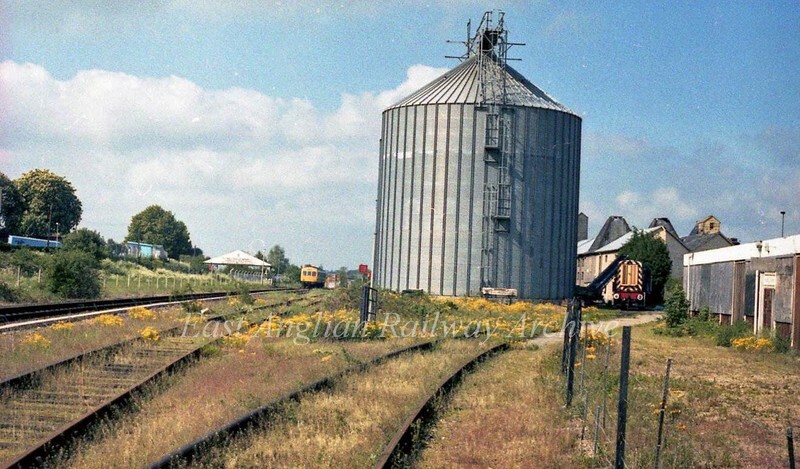 Definitely not a closed station of course, but these are the now disused sidings at Dower Wood Grain Depot. This was located north east of the station. Ex Cambridge (31A) shunter 08108 lurks in the background while a class 101 on a Cambridge to Ipswich service is about to pass on the main line. 22nd May 1991.